Plane, train, or automobile? How do you get to London for your theatre break? Wed recommend travelling by train from Edinburgh  it has never been quicker or easier, and this mode of transport offers plenty of advantages. 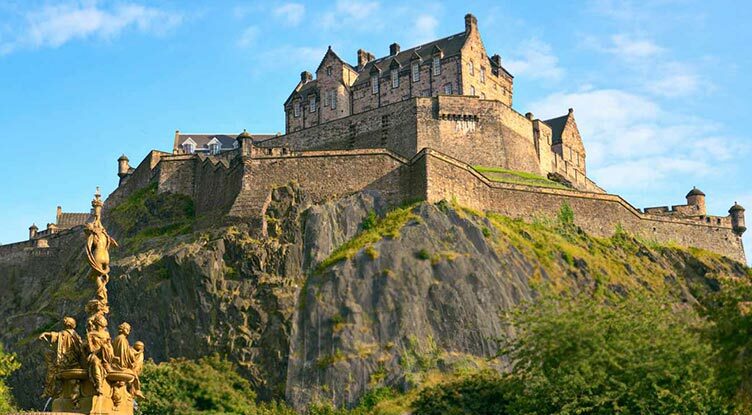 Why drive from Edinburgh to London, through those busy motorways for over seven hours, when you can jump on the train from Edinburgh with selected journeys and be in London in just four and a half hours? That's enough time to kick back, enjoy a film, get stuck into that new novel, or relax and have a snooze. Whether you want to see Les Miserables, Mamma Mia!, or the astonishing War Horse, and no matter if you want to stay at the luxurious 5-star Grange St. Pauls or the excellent value Holiday Inn Bloomsbury  weve got a fantastic theatre break with your name on it. Book a hotel, theatre and train break with us and you can save up to 50% on the train fare, leaving you with a bit more pocket money to spend on cocktails during the interval or a slap-up post-show meal. Make travel worries a thing of the past on your glitzy theatre break  book a theatre trip from Edinburgh to London with Show & Stay. Sit back and relax as you travel from one capital city to another hassle free. London is closer than you think when you book your theatre, hotel and rail package with Show & Stay. Plus you could save up to 50%, so why not treat yourself and see one of our best selling shows? Say goodbye to travel hassles with a rail theatre break from Edinburgh.